Property taxes, one of the largest concerns, will not be affected by the project, the town said at a Thursday hearing. OAKLAND — Residents asked Oakland officials if the town’s plan to build a new fire station will affect their property taxes or lead the department to purchase non-essential equipment. Voters will decide whether to proceed with the $2.6 million project in a Nov. 6 referendum. The town addressed the community’s concerns at a hearing Thursday evening at the existing station. 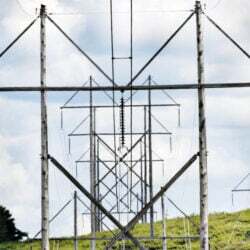 A multimillion-dollar facility that Central Maine Power Co. plans to build in Oakland is expecgted to generate enough tax revenue over 30 years to pay off a bond that the town will use to finance most of the project. Because of this, homeowners’ taxes could remain unchanged. If the revenue generated by the CMP plant did not go toward funding the new fire station, it could lower property taxes by about $45 annually on a $150,000 home. 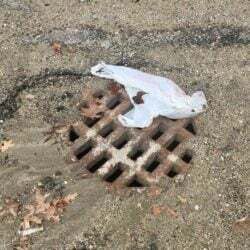 However, Town Manager Gary Bowman said that putting that money toward improving town resources for future generations is worthwhile. Boyd Snowden, who sits on the citizen committee responsible for the project’s planning, called the $2.6 million budget “meat and potatoes” only. He said that it does not involve gratuitous spending, and would not be used to add any frills. Some equipment does need replacing, though. The current fire station, built in 1953, has several structural deficiencies and is not suited to handle the department’s needs, let alone its trucks, which have grown substantially larger than 1950s-era models. Oakland’s ladder truck is stationed off site because it is too large to fit through the garage doors, and a shortage of space in the facility has forced Fire Chief David Coughlin to store a significant amount of the department’s equipment in his own basement. Snowden said that a crammed and outdated fire station, with trucks that sometimes have to be shuffled around before they can be dispatched, leads to increased emergency response times, which can make the difference between life and death. “Time is of the essence when you’re going to deal with these calls,” Snowden noted. If the plans for the new station gain the support of voters, construction on the new site would be slated to begin in April and conclude by November 2019. Messalonskee Stream Hydro has donated land next to the existing fire station for the new building to be erected on. The proposed 12,000-square-foot structure would house the department’s personnel and equipment, more bays and a versatile conference room that also would become the town’s new polling site. Town Manager Gary Bowman expressed interest in shifting election activities out of the middle school because of safety concerns raised by the national trend of gun violence in schools. The existing fire station is 3,000 square feet. 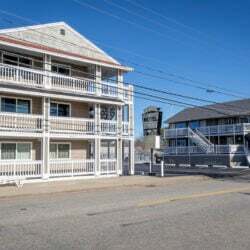 In addition to the 30-year bond financed by the revenue from the new CMP facility, the town will contribute $140,000 from its municipal building reserve account to the budget. Oakland’s Town Council and budget advisory committee unanimously approved of the project and its financing at a meeting in late August. The current fire station would be demolished and converted into a parking lot for the police station, Fire Department and Town Office. Snowden said that the building is of no historic value to the town. Updates to the facility have been discussed for at least seven years. 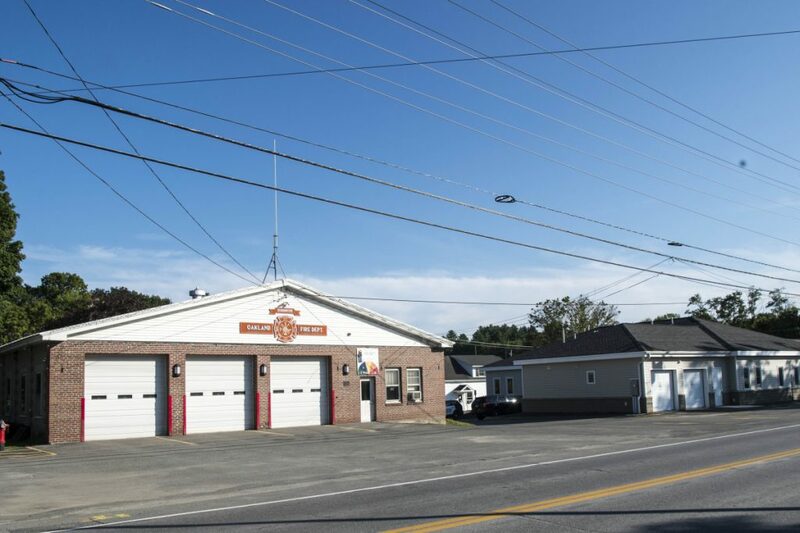 In 2011, the town put forth a plan to build a $4.9 million complex that would have united the police station, the Fire Department and the Town Office under one roof. It was ultimately rejected by voters, who opposed the increases in property taxes required to fund the project. Instead, the town proceeded with a three-phase plan to upgrade each of these buildings separately. The new police station building, which cost $1.05 million, was completed in 2016. A proposal for a new Town Office is in the pipeline, though no schedule has been set. Citizens will have another opportunity to voice their thoughts about the proposed station to town officials on Oct. 25 at the fire station on Fairfield Street.